Okay, so here is where I am going to rave. Out of all the places we have stayed in after over one year of traveling in South America, this place has been one of our very favorites. It’s not fancy nor is it an amazing value. So how can it be a favorite? The answer is simple. It’s home. If you are feeling slightly homesick or craving the feeling of returning to a home (instead of just a bed) then this place is the place to go! We had been hitchhiking for six weeks and were in desperate need of reliable showers, a comfortable bed and yes, it didn’t hurt to have a fresh, delicious breakfast made for us every morning as well as a ‘mama’ doting on us. 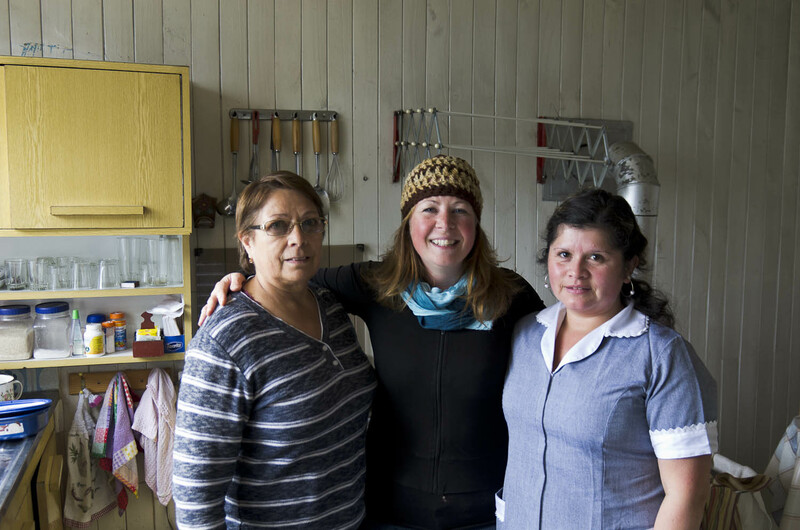 Eliana is the señora that runs this guesthouse and she will make you feel like you are part of the family. We found it hard to leave here. We planned on only two nights but ended up staying for over a week! 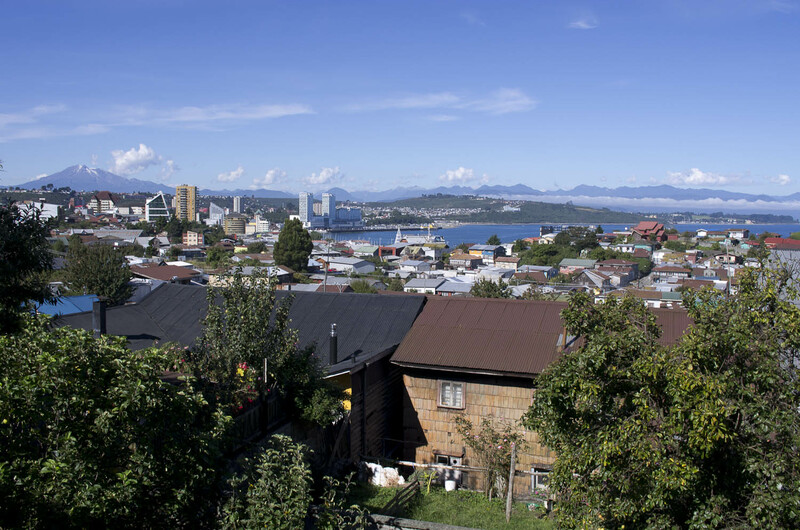 And if you have ever been to Puerto Montt, you know the town is not much to look at! We spent every day at the guesthouse-it is a perfect place to relax. The rooms are basic in themselves but comfortable with fresh-smelling sheets and ample drawers to place your belongings in. There are thoughtful touches like hairdryers in the bathrooms. Everything is spotless and cleaned every day. The breakfast is one of the best we had in Chile with fresh fruit, eggs, homemade jam, yogurt, milk straight from the farm and other goodies. The view from the top floor is fantastic! Shower is hot and reliable. Wifi is strong and even works in the bedrooms. Eliana will advise you for anything you need in Puerto Montt and since she is originally from the island of Chiloe, she can tell you everything about where to go there too. Mostly though, it really is a home away from home. I was genuinely sad when we had to say goodbye and writing this now, I miss this place so much! Our room cost 25,000 CLP per night ($45 US/33 Euros) but you can negotiate a price if you are staying multiple nights like we did. Clearly the best option in a dismal town like Puerto Montt. I would return just to visit Eliana!